Balancing On My Toes: We Bought A Couch! The title of this post may be a little misleading because we bought more than just a couch on Sunday however I find that to be the most exciting part! Tim had never been to Ikea before so it was a first time experience. Tim kept finding everything green within the store, so quite a few of these pictures are just of him finding green things! As I said.. Anyways, we spent some time walking through the room displays. It is nice to see everything set up as rooms so you can get different decorating ideas. It took us about an hour to get through the entire walk through. We also picked up a puppy stuffed animal for Tim's sister at her request. We also both loved this light, it would be so cool in a modern space. We survived our first Ikea trip together! 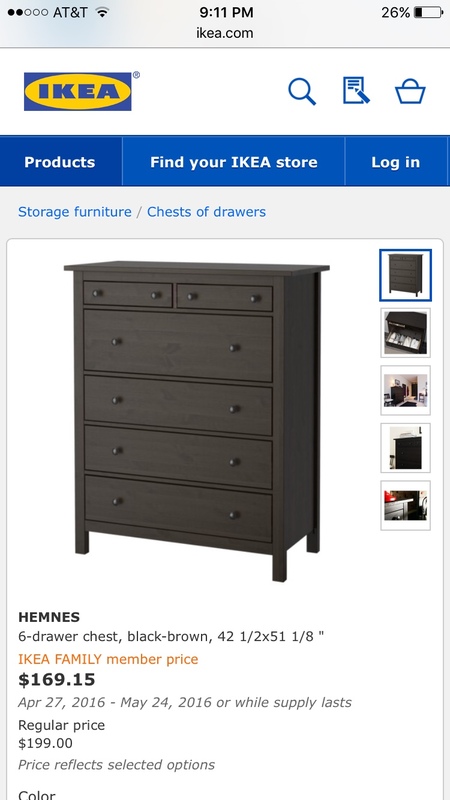 They say that's one of the biggest tests in a relationship...a trip to Ikea and we did it! 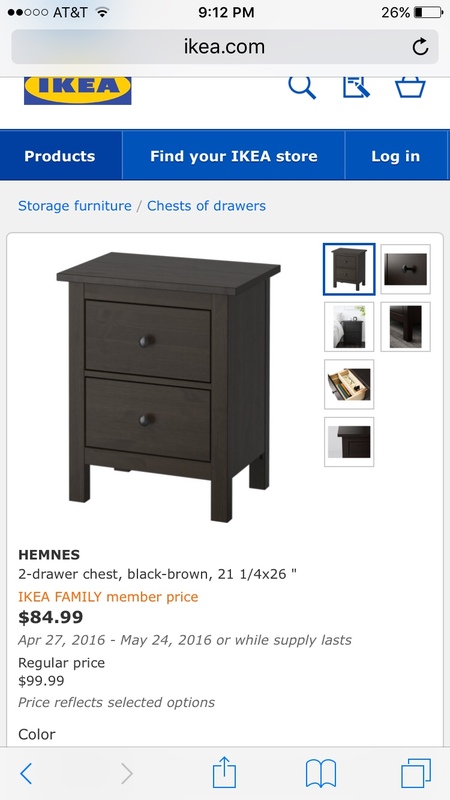 Although we had a little confusion because for the two dressers we bought we needed multiple boxes and were not good at following instructions. We ended up waiting in a long line and then having to go back into the warehouse to get the boxes we needed and stood in line yet again. We needed two carts (one for boxes and one for our smaller items) in order to get everything out of the store. 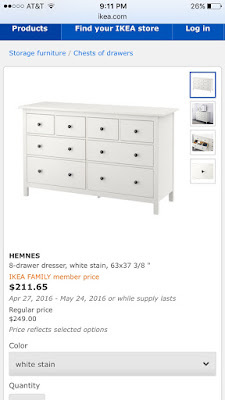 We grabbed TWO dressers from the Hemnes collection- one long and one tall. Although these pictures are in two colors we ended up going with the black-brown for both. 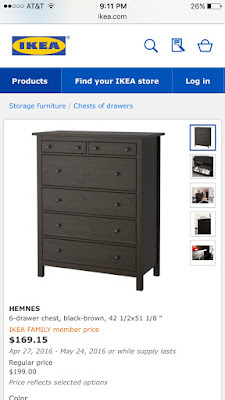 They have not been put together yet so I can't speak for how easy or difficult they are to build but I love the look and the drawers are super deep which is awesome! 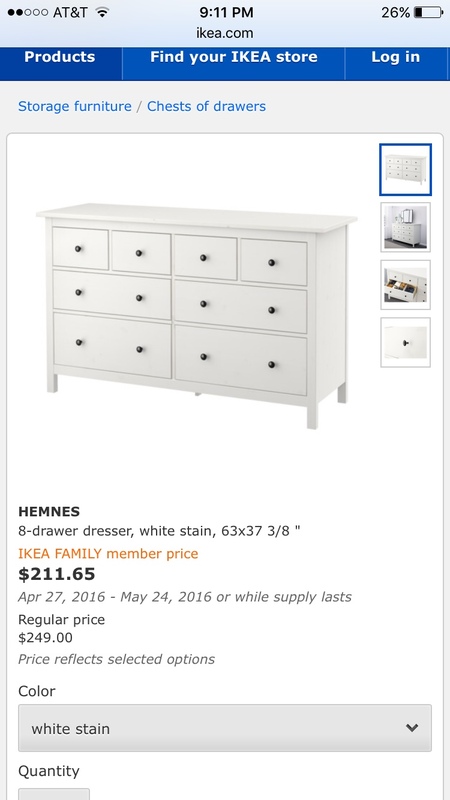 We also picked up two nightstands from the Hemnes collection. Once again in black-brown and they will be great on both sides of our bed! After grabbing those furniture items and a few small things from Ikea we headed off to Jordan's to look for a couch! We decided to take part in the Penant Fever and if the Red Sox and Yankees play each other in the pennant we will be getting our couch for free! So as much as it pains me to say it, please cheer for the Yankees to get slightly better. Please and thank you. So here she is, our beauty! We weren't really sure what we wanted going into our shopping trip but we ended up really happy with our choice! After some financing and signing up for delivery we were the proud new owners of a couch that will be delivered May 28th! So that's our furniture shopping adventure from Sunday! We are signing our lease in a couple of days and there will be so many updates along the way I can't wait to share everything with you!